Planting operation south of Albion last weekend. 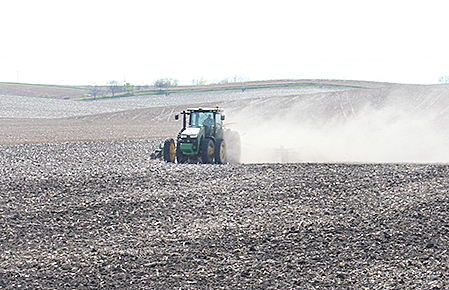 Tractors and planters were back in the fields last weekend in the Boone County area, but rain on Tuesday, April 25 delayed the planting season once again. Strong winds made for some dusty conditions in the fields on Saturday and Sunday. 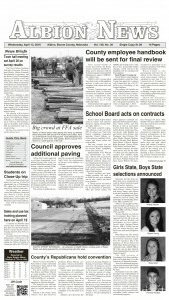 Corn planting was estimated at 17 percent statewide for the week ending April 23.